I express my art by using iron and welding techniques, is there someone who uses the same method for sculptures or other types of art expressions? Oddly enough I am just looking at moving this direction so as to transpose some of my art in to a sculpture using welded and formed steel plate. I have an Italian friend down on London who usually specialises in traditional copper beating who is going to help out. 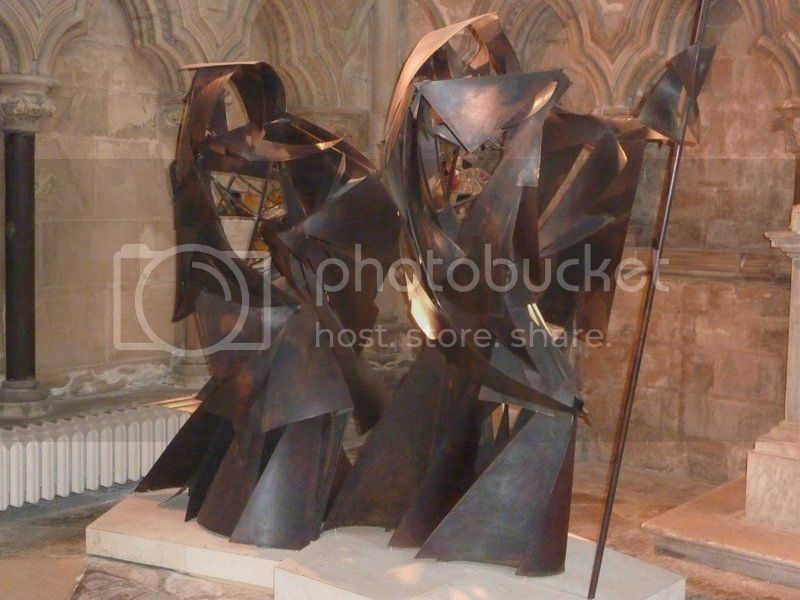 I am slightly driven by a very beautiful piece of modern sculpture in Beverley Minster (East Yorkshire) which is made from copper sheet and very overlooked by visitors. It is a wonderful contrast to the traditional side of the church and compliments the surroundings in a beautiful abstract sort of manner. Nicola, The geometry and color choices ring my bell and Chris, very cool sculpture - Thank You Both! This is awesome. Loved it!